Any person who has come out of the Bigg Boss house has turned out to become a massive star in Tamil Nadu, with the latest being the winner of the hit reality TV show’s second edition, Riythvika. That said, Riythvika along with her housemates Janani Iyer, Aishwarya Dutta, Mahat Raghavendra, along with Bigg Boss first season’s Harish Kalyan watched Mani Ratnam’s latest blockbuster, Chekka Chivantha Vaanam, last night with the film’s lead star, STR. 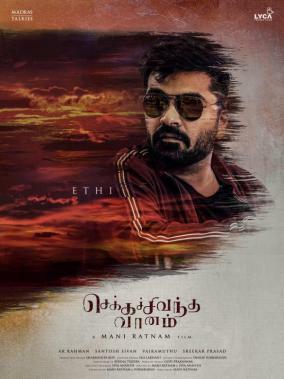 CCV has turned out to be a massive hit for Simbu and has left his fans excited beyond sky-high levels.